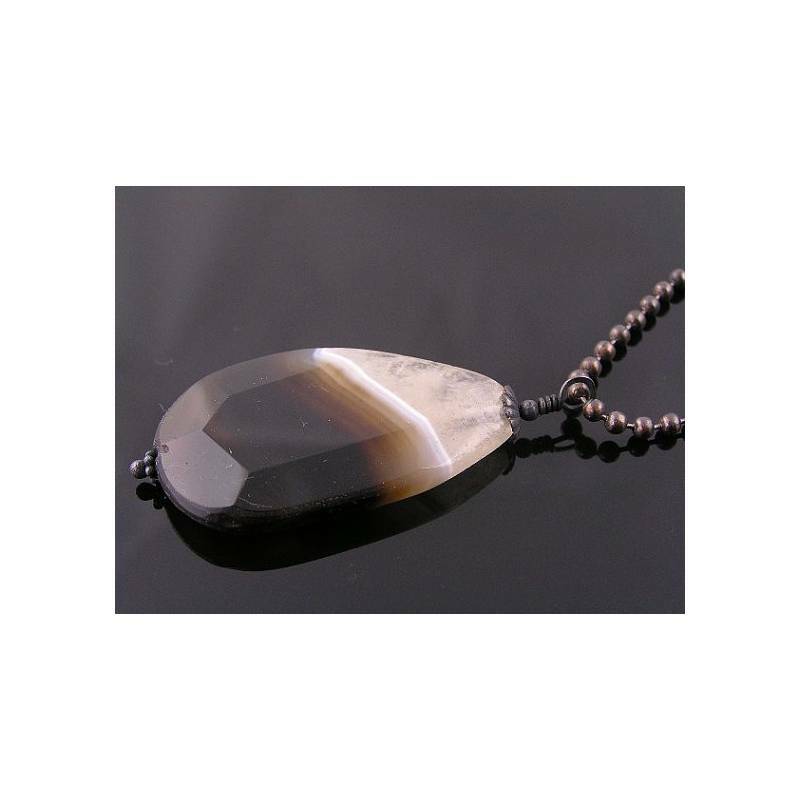 Natural black and white agate in a large, very interesting pendant. 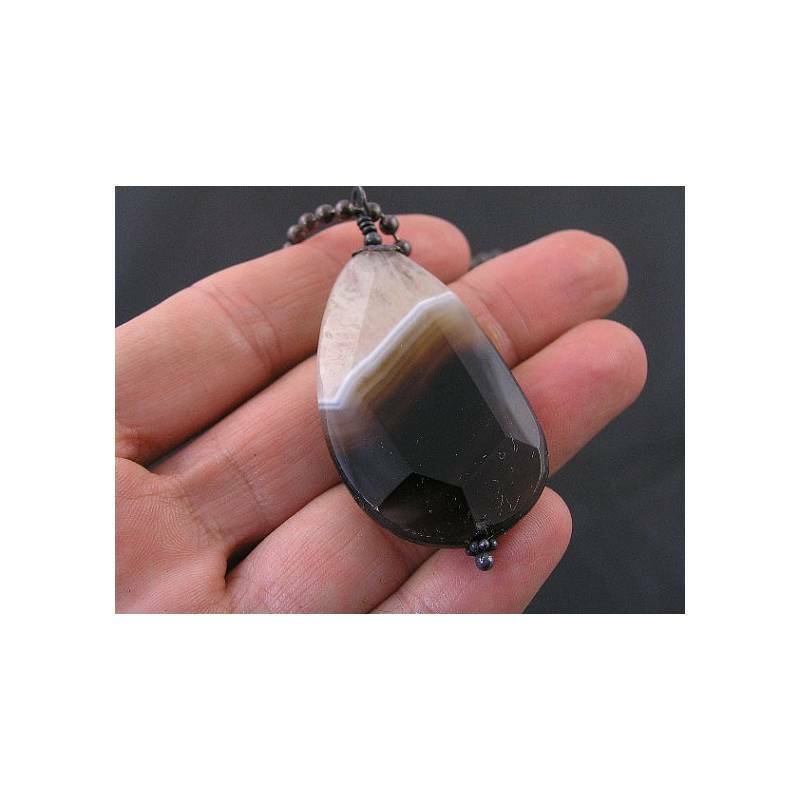 This all natural black and white Agate slice is definitely huge and wonderful. It has attractive banding along the sharp border between the white and the black part. What I call 'black' is not truly black but rather dark brown with a solid opaque streak in the middle and more translucent parts on both sides. The large faceted gemstone is sitting on one of my hand torched sturdy ball pins with a little daisy spacer at the bottom and a corrugated bead cap at the top. 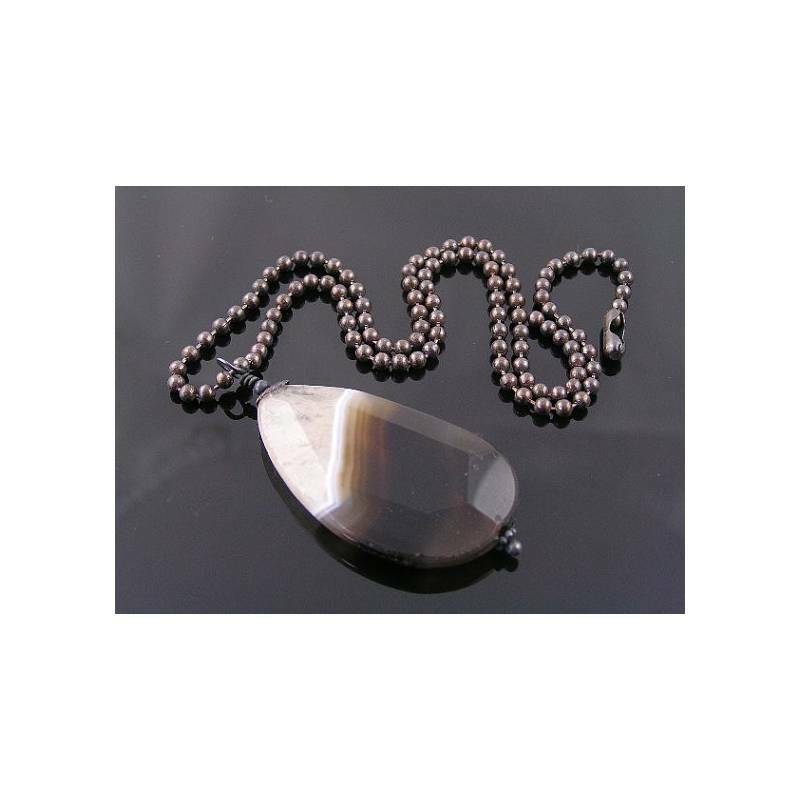 For this over sized gemstone, I have chosen a thicker than usual ball chain which closes with a traditional ball chain connector. It is very easy to handle and the overall look is sleek and modern. 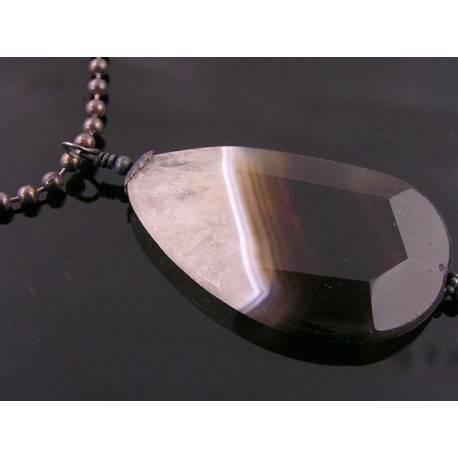 - The Agate measures 5cm in length and 2.5cm in width, it is around 7mm thick. - The 3.2mm wide ball chain is 47cm in length. 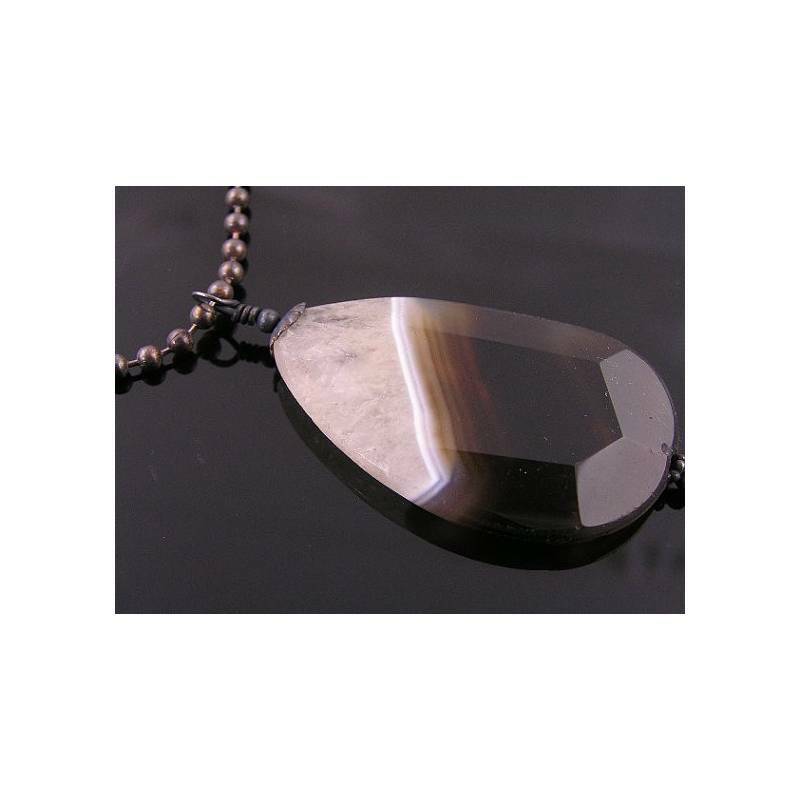 - All metal is solid copper which I oxidised, tumble polished and sealed.